In Massachusetts, if an individual operates a motor vehicle on a public way while under the influence of drugs or alcohol or with a blood alcohol content of .08 or greater, OR operates in a negligent fashion, OR operates recklessness and by such operation causes the death of another individual, that individual is guilty of the misdemeanor branch of the motor vehicle homicide statute. If an individual operates a motor vehicle on a public way while under the influence of drugs or alcohol or with a blood alcohol content of .08 or greater, AND operates in a negligent or reckless fashion and by such operation causes the death of another individual, that individual is guilty of the felony branch of the motor vehicle homicide statute. A misdeameanor motor vehicle homicide charge carries with it a penalty of thirty days up to two and a half years in the house of correction and a fine of $300 to $3000. A felony motor vehicle homicide charge carries with it a mandatory minimum sentence of one year in the house of correction up to fifteen years in state prison. A conviction of either misdemeanor or felony motor vehicle homicide carries with it a 15 year loss of license. 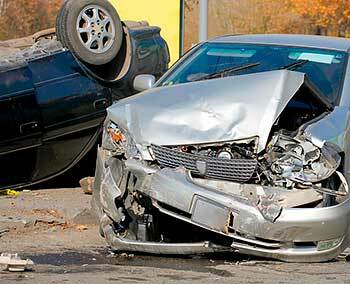 At the law office of Monopoli & Monopoli, we have defended many individuals charged with motor vehicle homicide. If you find yourself in the very difficult situation of facing such a charge, please call the office. © All right reserved 2019 -- The information on this website is for general information purposes only. Nothing on this site should be taken as legal advice for any individual case or situation. This information is not intended to create, and receipt or viewing does not constitute, an attorney-client relationship.